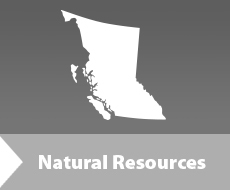 Quicksilver Resources Canada Inc. proposed the construction of a natural gas-processing facility to be located in northeast British Columbia (B.C. ), approximately 110 km north of Fort Nelson. The project, to be called the Fortune Creek Gas Plant, will be constructed in phases with an initial capacity of 4.25 million Sm3/day (150 MMcf/d) and a final capacity of 16.90 million Sm3/day (600 MMcf/d). Quicksilver Resources Canada Inc. submitted an application to obtain and environmental assessment certificate before any work can be undertaken on the proposed project.